A 75-year-old resident in a care home suffered from dementia and since arriving at the home four months before the assault, he had committed 13 acts of aggression and at least 5 attempts at serious acts of aggression, including trying to strangle one of the residents. Witnesses gave evidence that he was not in fact a weedy man but fit, small and very strong and at times attempted to climb fences at the workplace. The Judge found there was no evidence that the claimant or colleagues even had training in methods of physical self-defence. They were exposed to a man who had, on four or five recent occasions at least, actually attacked staff or patients. He had made two attempts to strangle people. He had hit a member of staff on the head with his stick. there was no evidence that the claimant or colleagues even had training in methods of physical self-defence. They were exposed to a man who had, on four or five recent occasions at least, actually attacked staff or patients. He had made two attempts to strangle people. He had hit a member of staff on the head with his stick. It was thought necessary to sedate him. His behaviour had been described as extreme. Watch the video to discover more about this case and the judge’s comments about training for breakaway and risk management in a Dementia Care context. Gerard O’Dea provides tailored Prevention and Management of Violence and Aggression (PMVA), Breakaway and Conflict Resolution training courses for education, care, health and hospital service providers around the UK, so that service-users and staff are treated with dignity and shown respect, even in their most difficult moments. 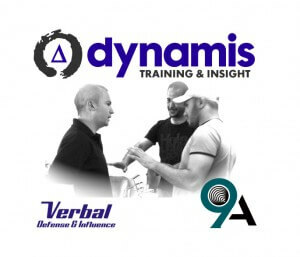 Combining respectful verbalisation skills with last-resort physical alternatives for true, full-spectrum patient care has been his specialty for over ten years as director of training for Dynamis.